Hey, it’s been a while since I shared some tips for making maps for games! 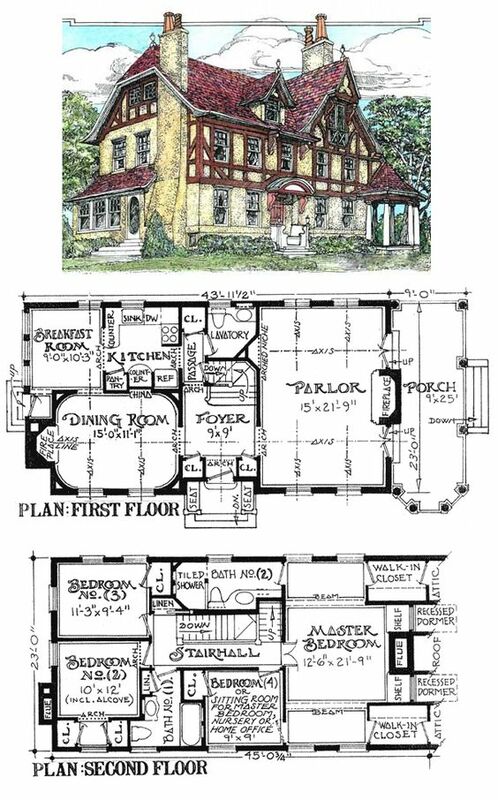 Over on Pinterest, where I collect image inspirations for role-playing games, I’ve been seeing a lot of lovely vintage floor plans for manors and houses. It’s great material for your Call of Cthulhu or Good Society game. However, they’re not always available at a scale that lends itself to making nice game maps. Here is a simple workaround. At the root, the only essential elements for me to have a good game are a few friends who want to play “pretend” together and for approximately the same types of stories, rules, or experiences. Then again, we all love our toys, tricks, and hacks. I have mentioned before some of the things I always bring with me to a game convention, particularly my beloved All Rolled Up filled with pens, index cards and dice, dry-erase media such as my Noteboard, and a variety of card decks as oracles and visual inspiration. I also carry a blank book to take game notes and sketch scenes, and lists of names to draw from for new characters. And here is another one I keep mentioning, but there is always one new reader who may find it useful: Robin’s Laws of Good Game Mastering, by Robin D. Laws (Steve Jackson Games), an excellent, easily read, and inexpensive primer for new GMs. 22. What are some awesome fan-made RPG resources? I want to celebrate fan-made and shared materials. There are so many, so I will just point to a few of different types. The Burning Wheel Wiki, and its companion wikis for other Burning Wheel HQ games. Yes, I do realize that the distinction between fan and professional is very subjective in the world of role-playing games. I’m just trying to shine a spotlight on quality resources created for love of the game and generously shared. RPG a Day: Accessorize, accessorize, accessorize! 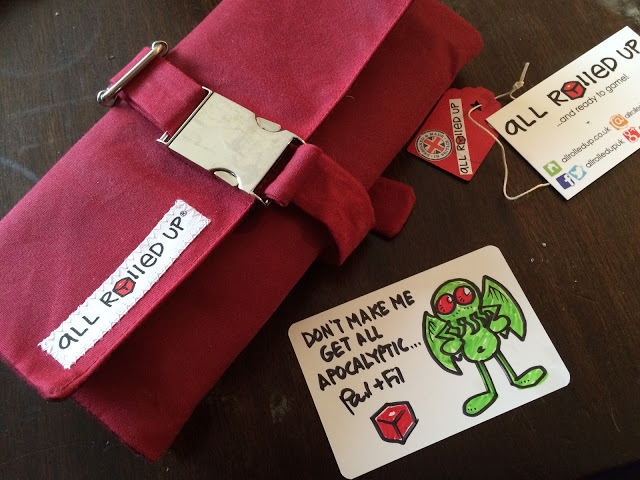 All Rolled Up, Fil and Paul Baldowki’s creation to carry your gaming kit in style. I have the Harker Adventurer and I love it. ​ Backstory Cards, to help quickly create strong character and setting ties. Deck of Fate, which can serve not only to replace Fate dice, track initiative, or substitute for fate points, but also as an oracle or inspiration. The Noteboard, a folding dry-erase mat with grid on one side. Plastic card stands and other game parts from Spiel Pro. Transparent acrylic table stands—a letter-size one for the game poster (used at conventions) and small ones for individual character pictures. Small standing dry-erase board as initiative/precedence tracker. Sticky notes of all colours and shapes! And online: Roll20, Google Drive, Vyew. Then came Big Bad Con 2014, where I was scheduled to run events using three different games: Atomic Robo RPG, Tianxia: Blood, Silk & Jade, and Firefly RPG. Let me be honest: after all these years, I’m always jittery about my convention games right before I run; but this time, I had just increased the pressure by kvetching about bad habits of GMs, and how it should be done instead… Thankfully, Big Bad Con is particularly notable for the incredible calibre of players it attracts. Three tables full of superb players was just what I needed to restore my nerve, and we had great adventures. I can proudly say that I successfully stuck to the advice I’d been giving, and things worked out magnificently. So I thought I would turn the experience into posts where I would share mini-reviews of the three game systems, step-by-step examples of my game preparation and GMing, and my original game notes for anyone who might want to use them. 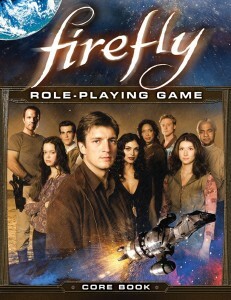 A few weeks before the convention, organizer Sean Nittner was looking for someone to run the Firefly RPG, so I volunteered. Sean puts a lot of effort into lining up a good variety of games and recruiting GMs so that there will be plenty of choice for attendees. He even lent me his beautiful autographed book, then contacted Margaret Weis Productions to ask if I could get a PDF convention kit. Thanks to David Robins and Monica Valentinelli at MWP, I got everything I needed to run a game. They can’t take the sky from you, but the Ching-wah TSAO duh liou mahng sure can make it ruttin’ uncomfortable. How were you to know this little job would blow up like that? Forgery, theft, treachery, ambition. Diplomats, courtiers, and Imperial scions. A holy day and a parade. And kung fu. 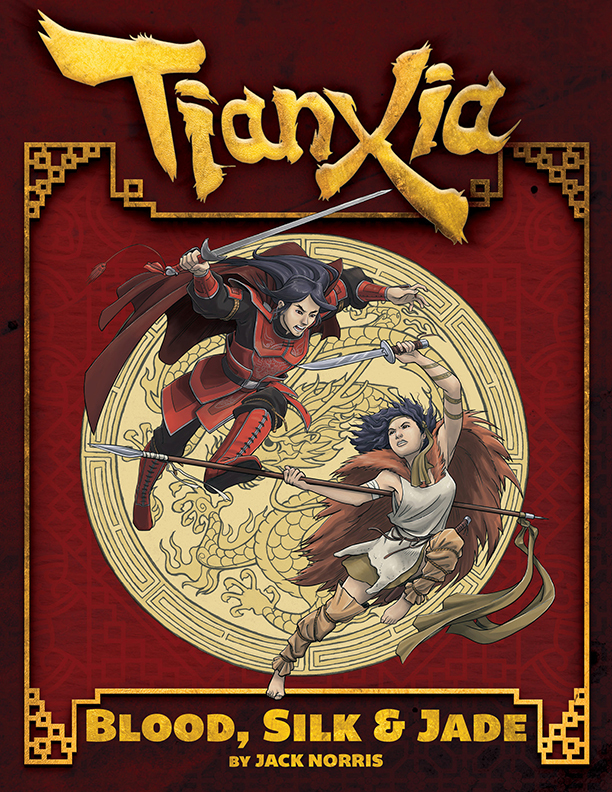 All of Băo Jiāng is topsy-turvy when a secret treaty is negotiated under cover of the Moon Festival — while daring thieves plan to rob the Imperial Seal. And did we mention kung fu? Then came Big Bad Con 2014, where I was scheduled to run events using three different games: Atomic Robo RPG, Tianxia: Blood, Silk and Jade, and Firefly RPG. Let me be honest: after all these years, I’m always jittery about my convention games right before I run; but this time, I had just increased the pressure by kvetching about bad habits of GMs, and how it should be done instead… Thankfully, Big Bad Con is particularly notable for the incredible calibre of players it attracts. Three tables full of superb players was just what I needed to restore my nerve, and we had great adventures. I can proudly say that I successfully stuck to the advice I’d been giving, and things worked out magnificently. 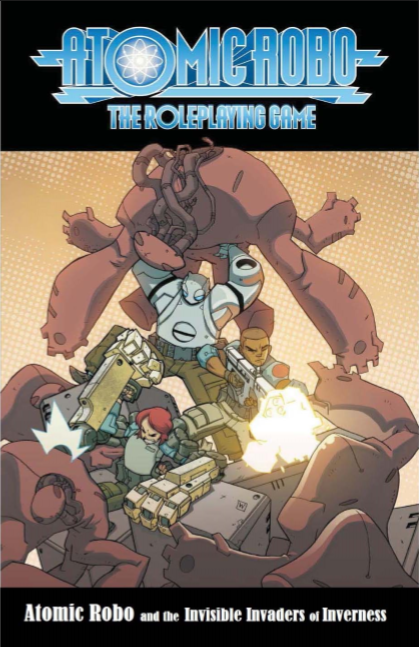 On Friday afternoon I ran my first game of the pulpy action science game from Evil Hat Productions, Atomic Robo RPG. It is based on the Atomic Robo comic book by Brian Clevinger and Scott Wegener, who were also involved in creating the game along with Mike Olson. I confess, I had never read the comic until Evil Hat started announcing the upcoming game, so I caught up by reading the free samples on the Atomic Robo website, then buying a few of the collected trade paperbacks. When it was time to schedule games for Big Bad Con, I thought this would be a good choice since the RPG would only be a few months old and a lot of people might want to check it out. TESLADYNE INDUSTRIES IS HIRING! All departments — Armory, Intel, Research & Development, and Transport. We need capable young Action Scientists who have what it takes to get the job done! From its humble beginnings in Nikola Tesla’s lab on Houston Street in New York City, the company formerly known as Tesla Heavy Industries has grown into the global phenomenon it is today. Tesladyne offers competitive salaries, a matchless benefits package, and the opportunity to travel while working on cutting edge Science! Yeah, this is yet another post about role-playing games. On Tuesday, I wrote my pro tip for the single best way for game-masters to improve their games: shut up, forget the story you’ve built in your mind, and listen to what the players are saying. But of course, that seems easier said than done: how, practically speaking, do you run a game without a plan? 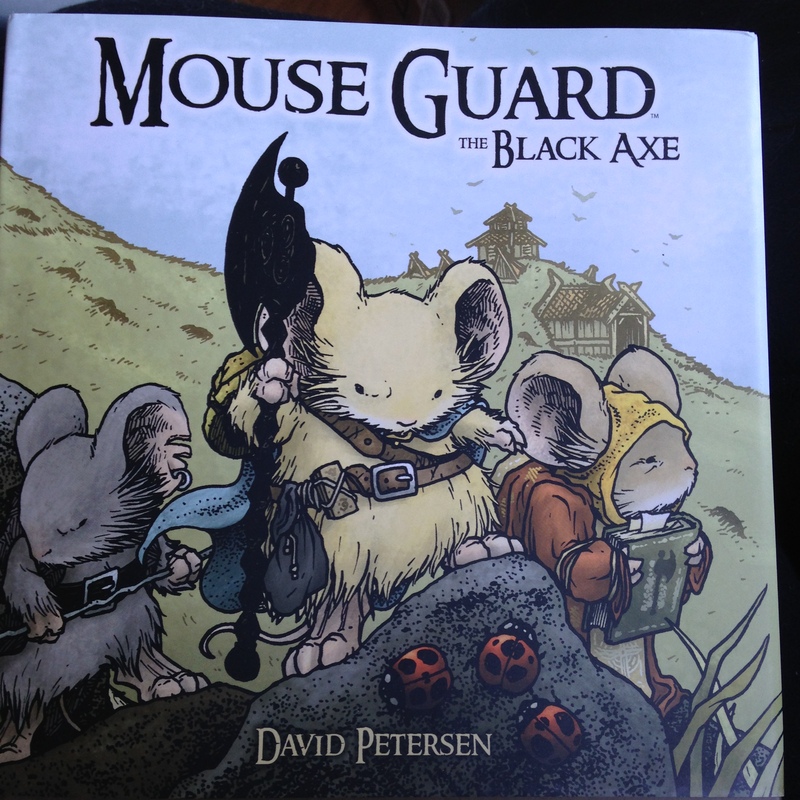 And what if you’re using a published adventure? So let’s walk through the process. 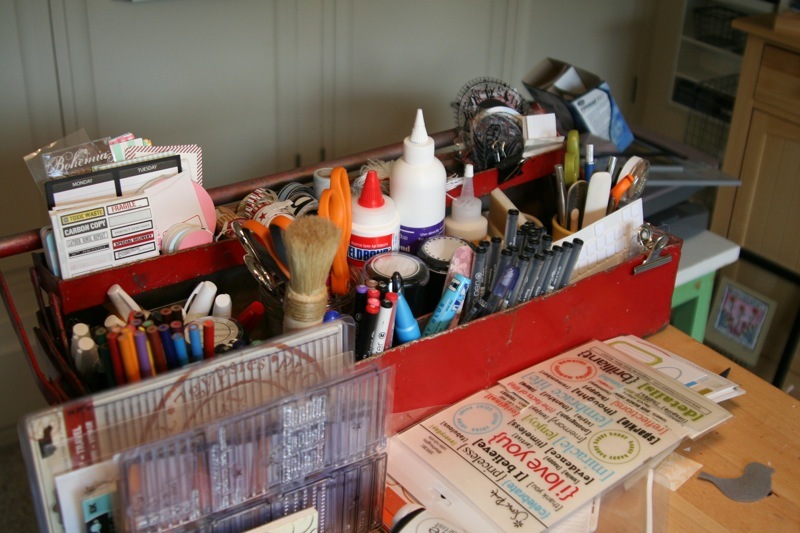 Before we get into the details, let me point you towards some useful resources. If you can only get one, I urge you to read Robin’s Laws of Good Game Mastering from Steve Jackson Games, by Robin D. Laws. It’s only eight bucks for the PDF and no GM should be without it. If you’d like to read more along those lines, you may want to take a look at three books from Engine Publishing: Never Unprepared, Odyssey, and Unframed. Many published RPGs also offer excellent GM advice; my favourite of all times is found in Josh Roby’s wonderful game Full Light, Full Steam (Callisti Press). So in order to prepare, the GM has to have some idea of a story, right? How can a GM run an adventure for a group of players without a story in mind? In the resources I listed above, you will find different ways of preparing plots so that players are not forced to go through all you prepared scenes in order and exactly the way you envisioned them. As you probably already do for all adventures you create, start with a situation that will make the player characters want to act; add interesting non-player characters to interact with, and give them agendas; set up some locations where interesting things could happen; and let the players come up with the rest. This makes your role one of attentive listener and entertaining describer, alternately. By all means, give your descriptions and explanations, but then zip it! and listen as the players come up with their own plans and ideas. If they fall prey to analysis paralysis, nudge things forward by having events unfold as the NPCs pursue their agendas, leaving consequences which the PCs will need to deal with. The secret is not to plan the end of the story, but to sketch out many different ways it could unfold. What if the PCs try to talk their way past the opposition rather than fighting? What if they sneak, or bribe the guards? What if they don’t rescue Sir Bedevier in time? You don’t have to come up with the details in advance, just sketch out a few different ways things could unfold and have at least some idea how this would impact events. Chances are the players will come up with something you had not planned on anyway and they should be rewarded for it, not punished. If they decide after all this that they will use a wheelbarrow and a holocaust cloak, for heaven’s sake, let them unless it’s really inappropriate or game-breaking in an irretrievable way. 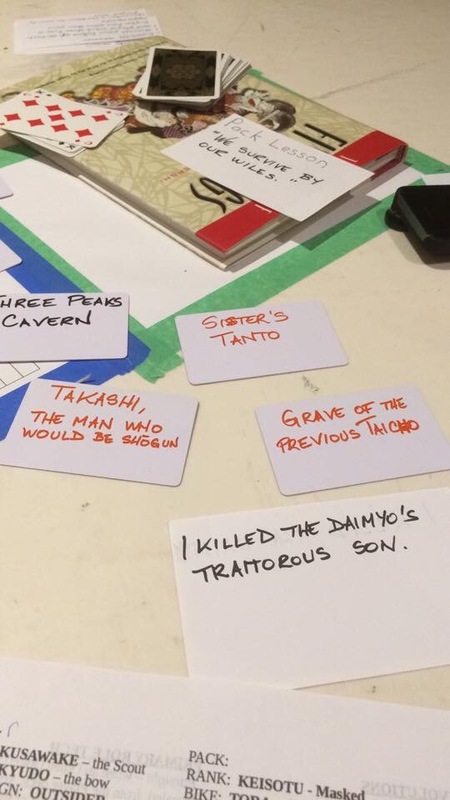 Everyone at the table will have more fun playing through the groups’ own spontaneous ideas than your scripted plot. And what if you’re using a ready-made adventure instead of writing your own? Does that mean you can’t use these wonderfully time-saving modules? Of course it doesn’t. I thought it would be both useful and fun to work through an example of published scenario and how to bend it to an open, listening game-mastering style. 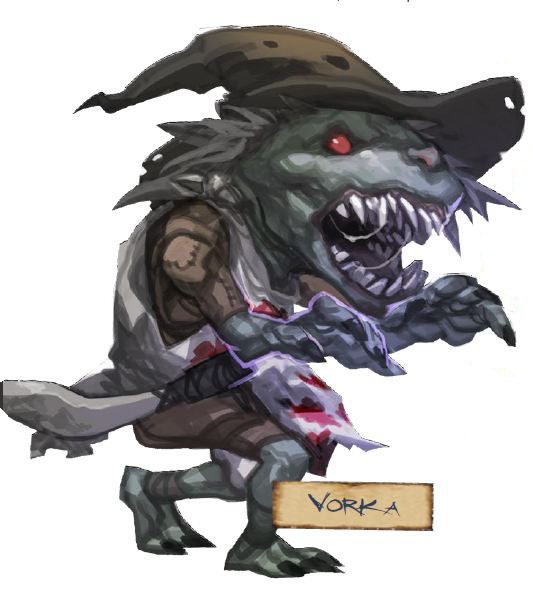 Two of the failed adventures I discussed in my previous posts were official organized play events run under the auspices of the Pathfinder Society, I thought they would make good case studies, especially since the scenarios are available as free downloads: We Be Goblins! 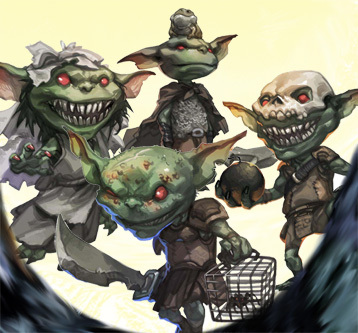 and We Be Goblins Too!, both written by Richard Pett, were released in 2011 and 2013 respectively as Paizo’s contribution to the annual event Free RPG Day, and won acclaim as whimsical, delightful romps offering a break from classic dungeon-crawling. Let me clear up a couple of things this is not about: it’s not about the two particular GMs who ran these adventures, except inasmuch as they are part of a general trend. I believe whole-heartedly that they were doing their best and wanted the players to have a good time. It’s also not about the published modules, which are well written and entertaining. What it IS about is how one can use a published scenario without turning the adventure into a railroad operation.